1. From the My Publications page open the publication you wish and click the Edit Settings button of your issue. 2. Go to the VIEWER tab and move your mouse over the uploaded background. Click the Delete button. 3. 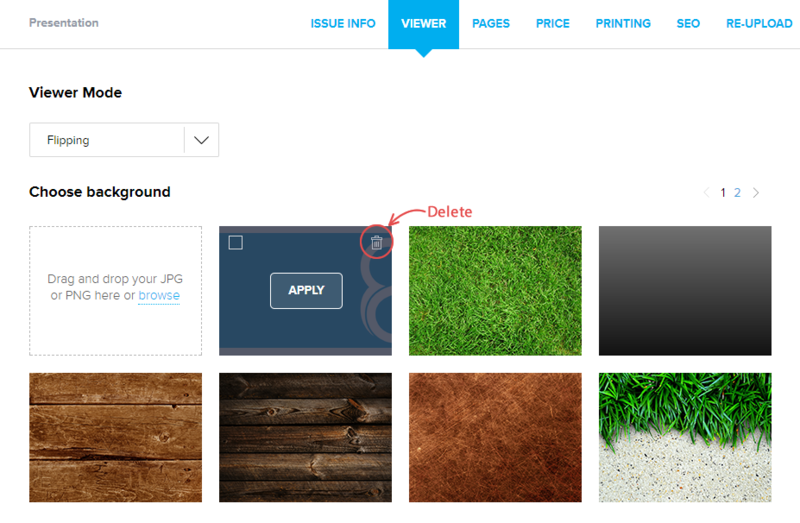 Click the Yes button to confirm that you indeed wish to delete the background and save your page.